When we come across pictures of others' travel adventures, it can be hard to gauge their appeal. 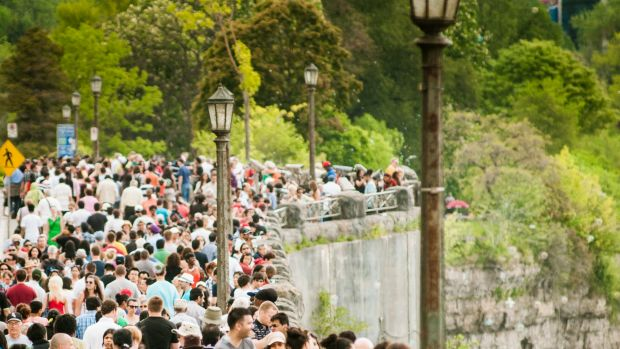 For every gorgeous shot of a world wonder or worldly treasure is an image that reveals a massive tourist crowd, sweating in line or posing for photos. So how do we come to terms with the fact that we can't marvel at the Colosseum without seeing swarms of people fumbling with their cameras to snap a selfie? Do we take the plunge and brave the seemingly never-ending lines, long waits and the tourism charges? To help, we tapped Leslie Cohen, EVP of Laura Davidson Public Relations, one of the top travel and lifestyle PR firms in New York, to get a better idea of which places are actually worth the wait. "I travel for pleasure and for my career and I encourage everyone to update their passport and hit the road or bike or train or plane and go!" Cohen says. "Often there will be crowds, but don't let that deter you from seeing something amazing." Here, a list of popular tourist attractions worth a visit despite their crowds and fees. "The pictures don't do this wonder of the world justice," Cohen says. "It's fascinating how the wall has many twists and turns and how the steps are deliberately uneven, perhaps to slow down invaders." 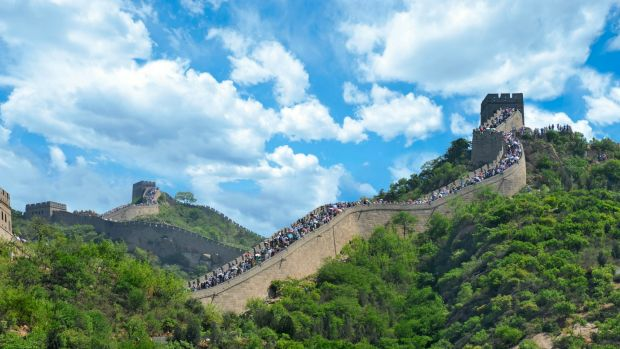 This man-made structure, which stretches over 13,000 miles from east to west, was completed during the Ming dynasty and draws over 10 million visitors a year. That fact alone might deter a seasoned traveller. But even with the long lines and extra effort of trying to snap a photograph without other people wandering in and out of the shot, it's worthy of a visit. And don't wait too long - 30 percent of it has disappeared due to erosion and human interaction. A portion of the wall was even underwater - a result of man-made flooding - and only recently reappeared due to a drought. In other words, to be in the presence of such a massive architectural feat is something that every traveller should deem necessary. 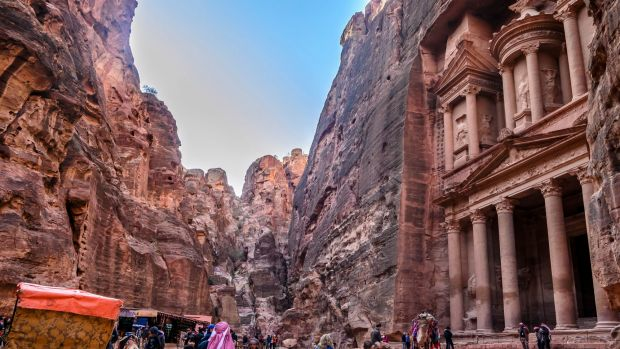 "What's most amazing about Petra is the colour of the rocks and how the light reflects upon them," says Cohen. "I definitely recommend a donkey ride to explore more - it's a wobbly journey, but memorable." Named one of the new seven wonders of the world, this beautiful and ancient city seems to be on everyone's bucket list - and for good reason. The Treasury and the Monastery are very well preserved, especially considering the fact that they were built in 312 BC Safety concerns and physical obstacles have left many travellers wondering if the Rose City, as it's called, is worth a visit. Despite the long trek - expect an approximately 1,000-foot vertical climb to see the monastery - the attraction comes highly recommended. Tip: Plan to spend at least a full day (if not two) here. This popular spa has been on the must-see list for Icelandic tourists for about 35 years. The man-made lagoon was founded when a pool of geothermal power plant runoff formed and locals began to notice the healing effects after bathing in it. The mix of sulfur and silica is said to have powerful effects on a variety of ailments, and thus, influenced the establishment of the Blue Lagoon spa that we know today. Plus, the milky blue water has become an identifiable feature in photographs, increasing its lure and appeal. And despite the crowds and high entrance prices, the Blue Lagoon remains a coveted experience - 80 per cent of tourists who go to Iceland visit it. "It's best to view Niagara Falls from the Canadian side as it's slightly less touristy," says Cohen. "And going on the Maid of the Mist boat tour is cliche but worth it." Straddling the border between Canada and the US, this popular attraction is not one you'll have to yourself. The crowds are present, but the falls won't disappoint if you're searching for a wow-worthy sight. Try and include it on a multi-stop trip, as there isn't much to see beyond the falls. And even though the nearby town doesn't offer much to do, the attraction itself is still worth the hype. "This is a breathtaking site that's stunning in its complexity," Cohen says. Machu Picchu, a stone-bordered Incan citadel sitting high in the Andes Mountains in Peru, gets much deserved praise. And while the photos you've seen of this magnificent attraction may have tempted you to book a flight, you've probably also asked yourself if it was worth the strenuous hike to get there. To put it simply, yes it is. The pictures don't do this place justice. If you don't have time to embark on a multi-day trek, opt to take a bus or train to the top. 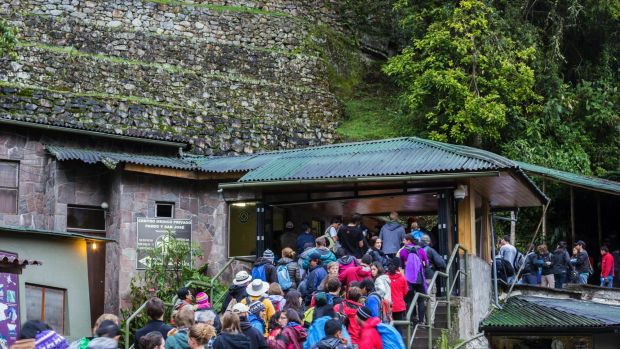 And be sure to check out our list of alternative ways to hike to Machu Picchu as well. You've read about the Greek ruins and seen plenty of pictures of it, but you've probably also witnessed massive crowds in the background of those images, too. 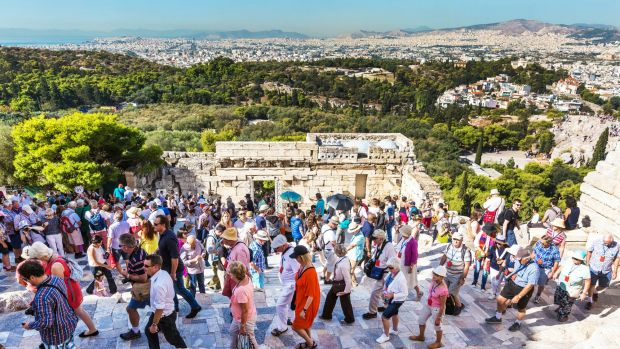 While the Parthenon at the Acropolis might have a long wait and be buzzing with tourists no matter when you visit, it's still considered a must-see. Why? The sheer scale of the ruins is something one can only appreciate up close. Trust us, it's worth the climb, and visitors who have grit their teeth and overcome the tourist formalities have been very happy with their experience. 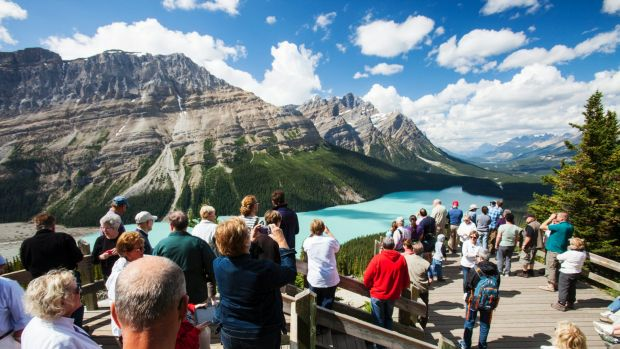 The oldest and most majestic national park in Canada, Banff National Park attracts over four million visitors a year. That's quite a lot, but it's open year-round and hosts a variety of attractions, from its glacier run-off and cave system to its amazing wildlife. But you don't have to have a high-intensity trip to enjoy the park. There are plenty of restaurants, international retail spots, and other cultural attractions that also appeal to travellers - not to mention, the photo ops are endless. 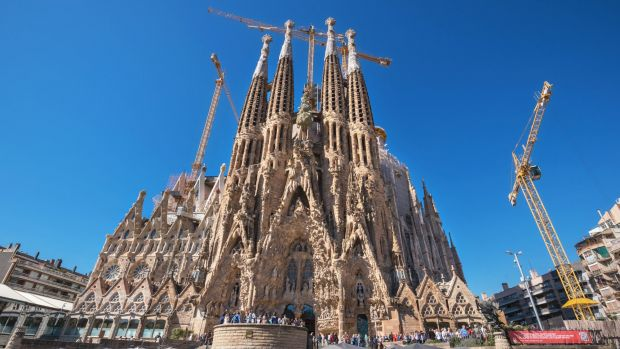 When in Barcelona, make sure to stop by La Sagrada Familia, a Roman Catholic church designed by Catalan Spanish architect Antoni Gaudi. While seeing the structure from the outside is rewarding enough for many, the few euros required to enter are well worth it. Attracting more than three million people per year, the conglomeration of tall towers has been under construction since it was erected over 100 years ago. It's a work in progress - each year leaves it with stronger restorations - but it's still a spectacular attraction that cannot be missed.